I wish to introduce myself and offer a new private referral service for advanced restorative dentistry cases. My main areas of dental interest are treatment of the worn dentition and advanced aesthetic restorative dentistry. I qualified from Newcastle University in 1992 and started working in house jobs in Restorative Dentistry , Oral Surgery and Child Dental Health. Following this, I completed VT and then a year as an associate in the North East prior to joining the Cleveland Terrace Dental Practice in 1996 where I became a partner in 1999. Although experienced in treating these kind of cases, I am not a specialist. I have completed two part-time year long Restorative Dentistry courses, the most recent being with Chris Orr in London. I have also undertaken Chris Orr's eight day advanced occlusion course. I have trained with world renowned Frank Spear in Arizona where I studied complex restorative treatment planning, aesthetics and occlusion. I have also trained with Didier Dietschi at his teaching centre in Geneva on two occasions, where I studied advanced anterior and posterior composite techniques. I have also undertaken the comprehensive Occlusion Design course run by Canadian dentist Dr Stephen Phelan. I have recently completed the Dawson Academy Core Curriculum and also attended their international symposium in San Sebastián in Spain. I continually complete postgraduate education and have attended courses by the world’s leading clinicians including the Dawson Centre (John Cranham), Pascal Magne, Galup Garel, Bazil Mizrahi, Jason Smithson and many more. I am a Full Member of the BACD and each year I attend their excellent annual conference. I am certified provider of the Inman Aligner and Cfast anterior orthodontics and also provide clear aligners for anterior tooth alignment. Tooth alignment can be very useful as a stand alone treatment, or pre-restoratively and can also improve anterior guidance. 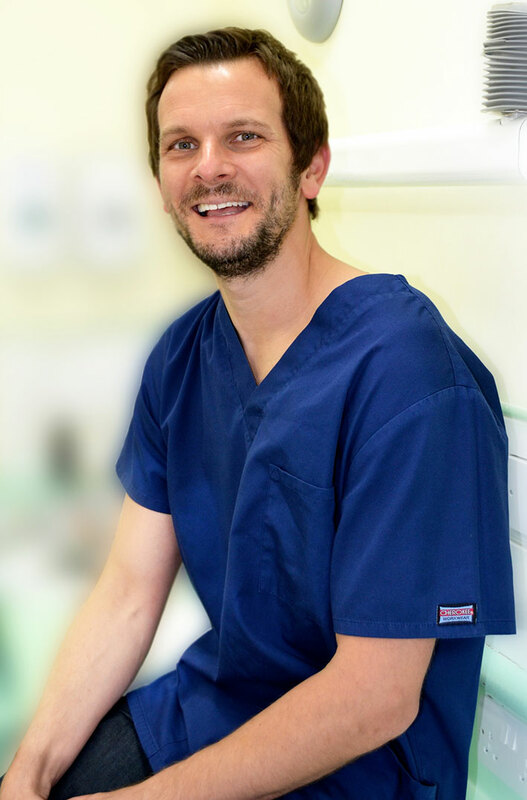 Where required, I work closely with a MSc trained dentist in Endodontics, specialist orthodontist and implant dentists also. I would be delighted to discuss any cases with referring colleagues when required. Similarly, I would also be delighted to discuss with you any questions about this new referral service, so please do not hesitate to contact me.